Every culture has food waste. 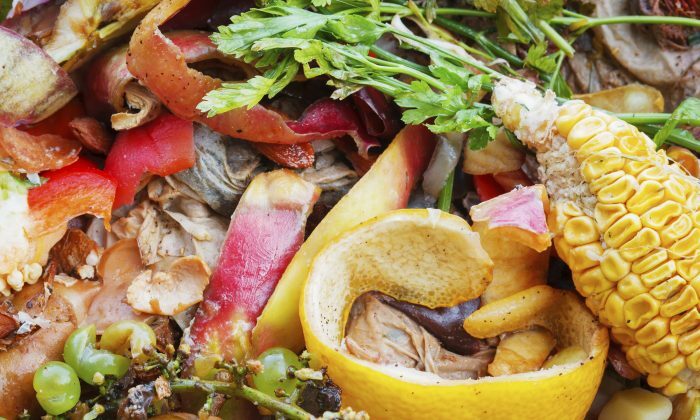 Some food waste is completely unavoidable. Yet, what one culture considers waste, another may just consider it delicious. Here are some foods that the average American would not think twice about throwing away, but that other nationalities covet. Banana peels are pivotal props in Western slapstick humor. Though iconic and ubiquitous, few Westerners see the banana peel as food, let alone as a palatable delicacy. It is, in fact, a very healthy one, chock full of vitamin B6 and B12, magnesium, and fiber. Bananas, as well as their peels, are a staple of Caribbean cultures, where they are cooked whole as banana fritters. Additionally, you can chop the peels and cook them in stir fries and curries. Beets are known for their versatile cooking qualities. From borscht to red velvet cupcakes, the versatility of beets makes them perfect for savory or sweet, vegetal or hearty dishes. The beet greens, however are just as delicious as their reddish partners. Quite popular in Indian cuisine, beet greens can be cooked similarly to chard or kale and are also just as nutritious; they have 220 percent of your daily allowance of vitamin A and 60 percent of your vitamin C needs. While high in protein and fiber, beet greens are also high in sodium. The classic way to prepare them is blanch the greens then saute them in heated olive oil with garlic and a touch of red pepper flakes. You can also toss them in an omelet or quiche, and complement with goat cheese. Many of us have been taught to never eat cheese rinds, since they are thought to be covered in harmful bacteria. Despite this, the rinds of hard cheeses, especially Parmesan are packed full of flavor. Italians often enhance the flavor of their soups and sauces by adding their leftover rinds. Just let the rind simmer in the dish for the last 20 minutes or so of cooking. You can fish out the rinds before eating, but, if you are feeling adventurous, you can even eat the softened rind for a powerful punch of cheesy flavor. Of course, if the rind is moldy, it may be best to skip the soup or sauce altogether and simply compost it. Eating watermelon is one of the most pleasant summer pastimes. While children in America often have seed spitting contests, Vietnamese children actually eat them. For the Vietnamese Lunar New Year, Tet, roasted watermelon seeds are eaten as a snack. To roast watermelon seeds, simply rinse, drain, and pat them try. Coat and toss the seeds with olive oil, salt, or any other seasonings. Toast them in a skillet until golden brown and crispy or spread them out on a baking tray and roast them at 325 F for 20–40 minutes. The watermelon is all-around useful produce. Believe it or not, watermelon rind—not the bitter green skin, but the white layer just under it—is packed with nutrients and is surprisingly tasty. It has a consistency similar to zucchini and adds a lightly sweet flavor to your dish. The Chinese have long used it in stir fries and stews, and but you can use it in curries, ratatouille, vegetable kabobs, and pretty much anywhere else. Tip: Keeping a thin layer of the red flesh wins extra presentation points. Do you know how these grow? Chocolate, cashews, pepper corn, baby corn, cinnamon, wasabi, pineapple, kiwi, sesame seeds, saffron, asparagus. Aspirational eaters are flocking to cricket foods.